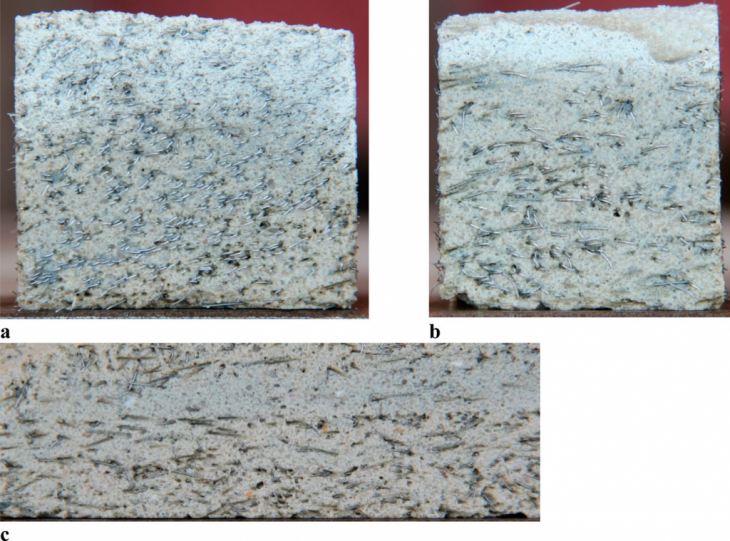 REINFORCED CONCRETE PRINTING : Strategies to add reinforcement while printing of concrete. Since the development of 3d printing and additive layering technology, great advancements have been made in their attempts to incorporate that into various means of manufacturing. None so much greater than architecture and the building industry. The technology brought great hope with the ability to utilize contemporary building mediums like clay and concrete to print 3 dimensional structures. But while materials like clay can be easily adopted, r.c.c. poses a special problem. R.c.c. comprises of a compressive component i.e. 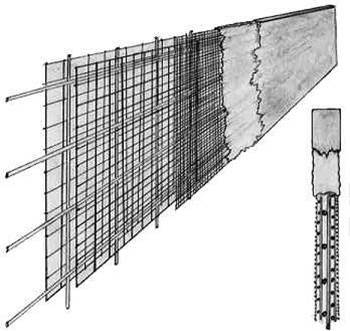 cement concrete and a tensile component in the form of steel reinforcement. One of the advantages of this process is the total adhesion and encapsulation of the steel prior to curing, that ensures proper bonding bent ween the two elements. 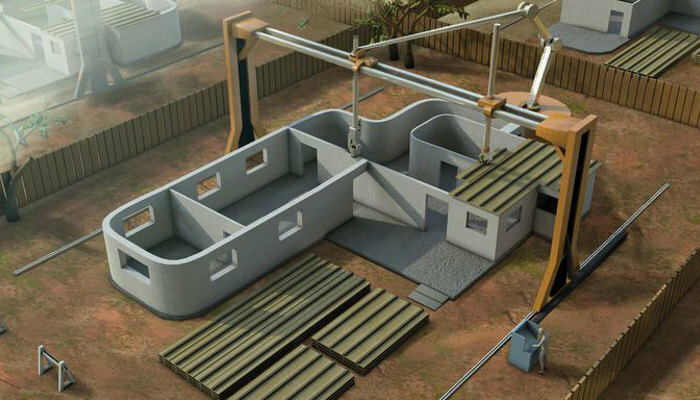 Additive Manufacturing with cement-based materials is an emerging technology that opens opportunities in the construction industry by reducing labor and form-work costs and increasing reliability of concrete infrastructure. 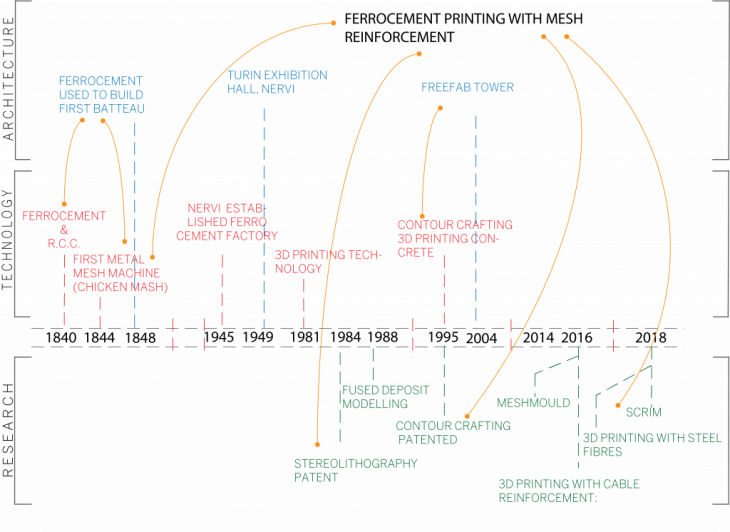 Amongst the early pioneers of concrete printing technology is Contour Crafting by Behrokh Khoshnevis. Behrokh Khoshnevis and Contour Crafting have conducted significant research in the 3D printing of a concrete house by the use of additive technology. But much of his research is in the utilization of vertical extrusions. Contour crafting uses quick setting concrete to print the walls layer by layer until its finally topped off by beams and slabs. Much of the structural components, plumbing, wiring etc are inserted into it while printing the layers. In conventional reinforced cement concrete the rebar utilised are between the size of 6mm – 40mm diameter, which is difficult to incorporate into printing in its current state. Any form of reinforcement that can be adapted to 3d printing technology needs to be of sufficiently small diameter or size to allow for ease of manipulation. In such situation we can use specialized steel fibers or use specialized concrete like ferrocement which uses mesh reinforcement to gain structural support. While the use of steel fibers increases the tensile strength of concrete, it cannot provide the same degree of support like conventional concrete. So for the purposes of this study ferrocement was chosen. Ferrocement is a form of reinforced concrete composed of closely spaced layersof mesh or steel rods of small diameter encapsulated in mortar used to form thin sections. 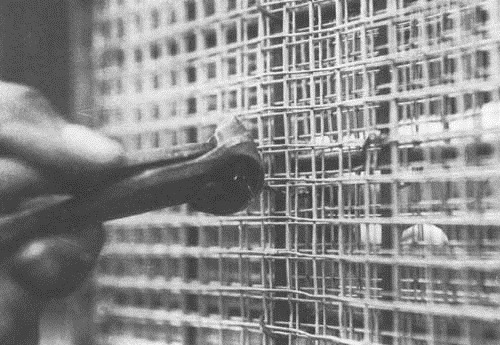 The construction process consists of forming the shape of the required structure with a mesh of fine reinforcement,such as chicken wire or expanded metal. Multiple layers may be used to achieve the required density of steel and the whole may be stiffened with a few standard reinforcing bars. A stiff mortar is then applied to both sides of the layer of reinforcement known as the ‘armature’ and finished to the required thickness. -Galvanised wire / mesh aka chicken wire 6mm dia mild steel or tor steel bars for skeletal supposrt as required. -Lower Cost depending on application. -Lower learning curve. less reliance on skilled labor. -Improper casting / curing can lead to corrosion of reinforcement. -Poor performance against sheer force. -Fixing reinforcement is time consuming. 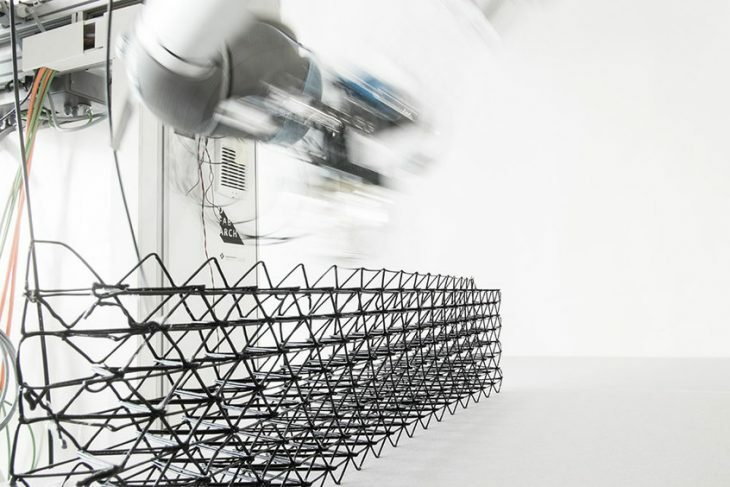 SCRIM, introduces a new concept that intersects robot based 3D Concrete Printing and textile reinforcement meshes to produce lightweight elements. Existing 3DCP stacks material vertically. SCRIM tries to utilize 6-axis robotic control by using supportive meshes to define 3D surfaces onto which concrete is selectively deposited at various angles. SCRIM does not encapsulate the textile in concrete. It deposits it sparsely. Conventional concrete works on adding tensile reinforcement (sparsely) in a compressive medium. This uses a system of adding compressive properties to a tensile structure. Limits: Mesh needs tensioning and exhibits deformation when load is applied (self load). This leads to layer height irregularities that leads to problems in mesh encapsulation and adhesion. 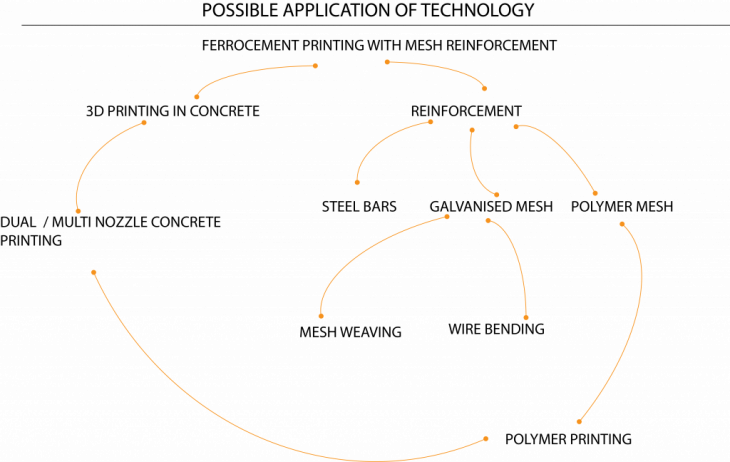 Complex toolpaths need to be defined. Study of curing not conducted along with their performance. Concrete requires formwork to cast and reinforcement to compensate for tensional forces, both of which are expensive and labour intensive. Due to this concrete is cast in simple forms and not allowed to explore its true potential. Mesh mould investigates a technique of intricately weaving a tensile material that acts as form defining mould and reinforcement. Labor for formwork and reinforcement accounts for 50% of the cost and it rises expontially along with geometric complexity. Industrial robots which can precisely and swiftly execute spatial movements regardless of complexity can unlock the full potential of concrete as building material. If the perforated formwork is directly extruded in situ as a three dimensional spatial meshes by a robotic arm instead of discrete panels the the system is freed from planarity or single curvature. This allows the fabrication of 3 dimensional meshes as formwork. 1. explore form defining capacity and spatial extrusion of polymers. 3. fabrication and material research can converge to remove entire tensional reinforcement of concrete. 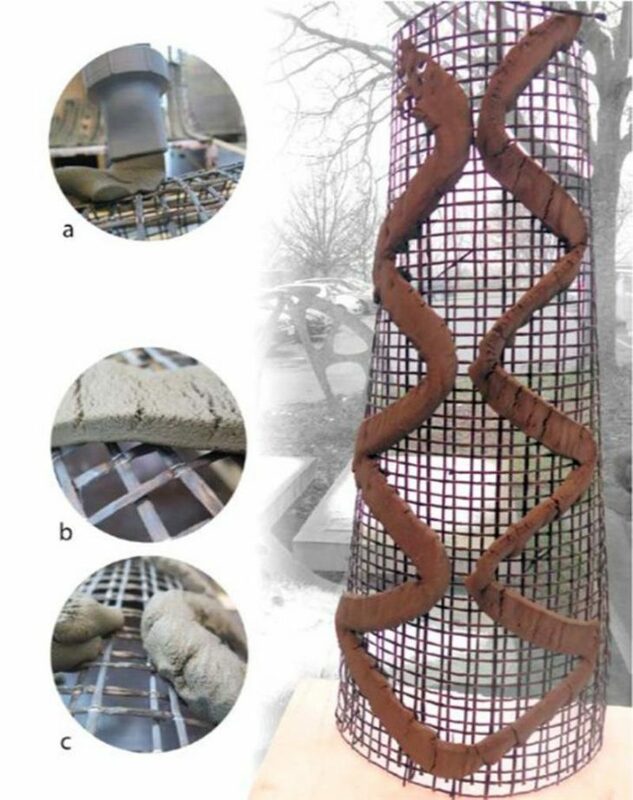 The study explores the structural performance of Steel Fiber Reinforced concrete (SFRC) applied in a particular Digital Fabrication Concrete (DFC) process, namely the ‘3D Concrete Printing (3DCP)’ Fused Deposition Modelling (FDM) process that is being developed at the Eindhoven University of Technology. It should be expected that normal strength concrete with short straight steel fibers will show increased tensile strength due to delayed macro-crack development. 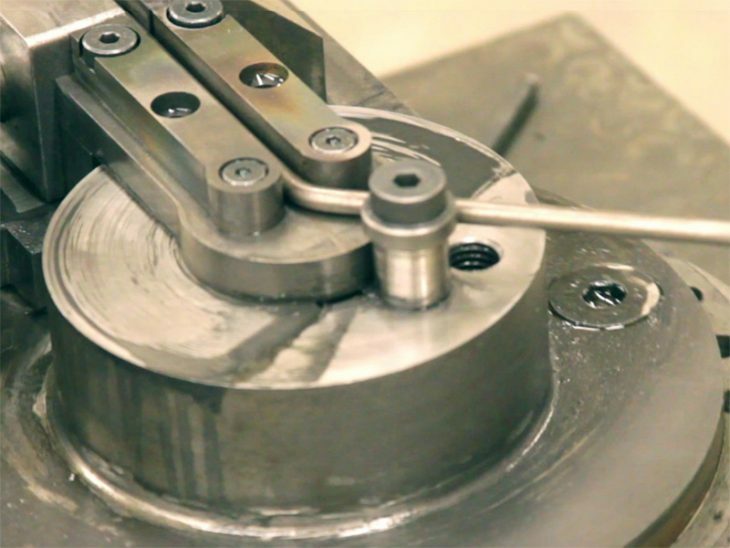 The increased tensile strength, fracture toughness, and failure strain may nevertheless be beneficial for many practical applications, and improve structural performance in statically indeterminate structures. The 3D concrete printing system adopted by the TU/e has been described extensively by (Bos et al. 2016). It consists of a M-Tec Duomix 2000 mixer-pump with a linear displacement pump that feeds concrete by a Ø25 mm hose to a 9.0 4.5 2.8 m 4-DOF gantry robot (Fig. 1). For this project, the printer head, which previously consisted of a simple stainless steel print nozzle, was expanded with a device that allows the introduction of a reinforcement medium to the concrete filament. 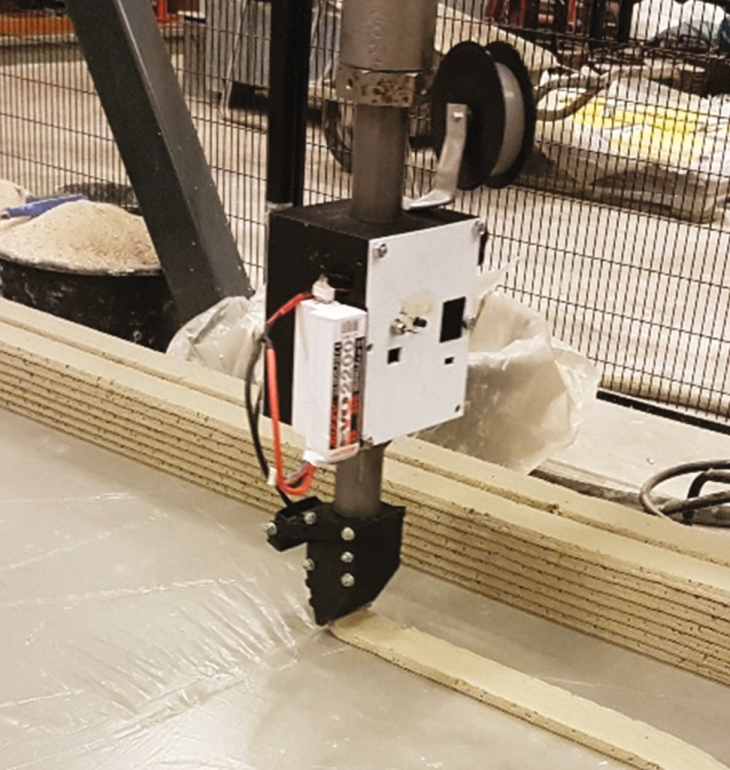 A device was developed to directly entrain a reinforcement medium into filament of printed concrete. 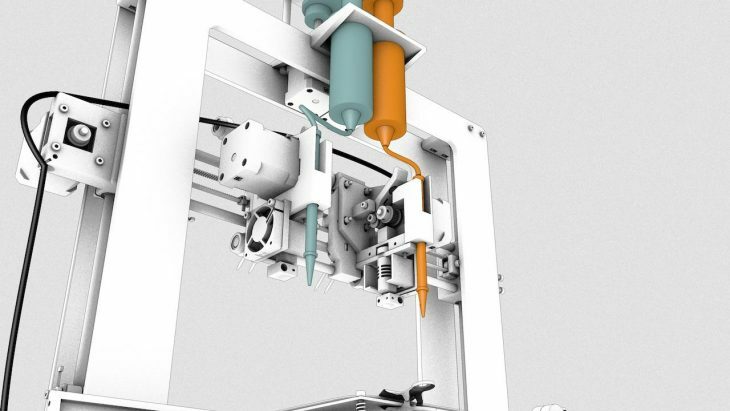 The devices uses a servo-motor driven spool that feeds steel reinforcementcable into the concrete filament just before it leaves the print nozzle. Four-point bending tests on beams with a 620 mm span and different cable types and configurations, show significant post-crack moment capacity and deformations are obtained. 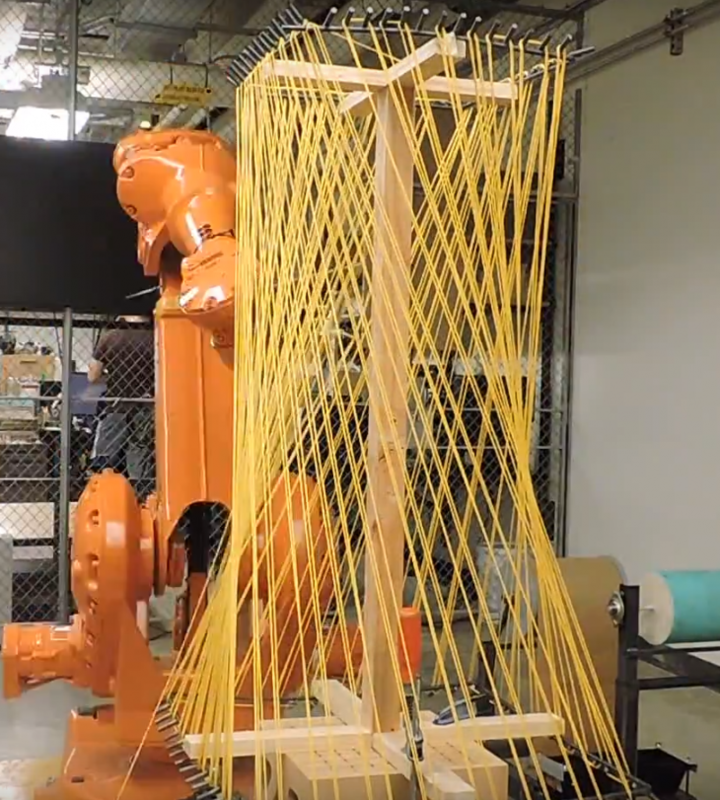 The base framework could be created and the reinforcement could be woven by a robotic arm. A concrete extruder could then print over the woven mesh. Polymer mesh can be extruded using a polymer extruder simultaneously along with concrete. The method to infuse reinforcement will require research and strategies developed by various technologies, including marrying of separate methods to achieve the desired result. The next steps would be to test the above technology and device strategies to simultaneously incorporate galvanised steel wires or polymer based reinforcement while ferrocement printing.